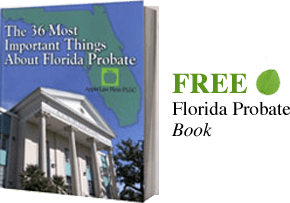 One of the most interesting Florida estate planning tools is the Designation of Pre Need Guardianship. This document if often part of the Advanced Directives and becomes very important when used in conjunction with other documents prepared by an elder law attorney. This document designates who will serve as a person’s guardian if he or she ever is determined to be incapacitated by a court. Naming a Pre need Guardian is important because it allows someone to have the final say over who his or her guardian will be if they ever need one. While no one hopes to ever become incapacitated, as we grow older dementia and Alzheimer’s disease become more likely to affect us. According to the World Health Organization, 47.5 million people suffer from dementia and 7.7 million new cases of dementia are recorded each year. A Designation of Pre need Guardianship permits an individual to select who they would like to take care of themselves if they ever become incapacitated. The Designation of Pre need Guardianship can list multiple people in the order of preference. The document also permits individuals to saw who they do not want to serve as guardian. This can help prevent abuse from untrustworthy caregivers. However, by naming multiple alternatives to the main guardian one may be able to achieve the same results without hurting anyone’s feelings. When a person becomes incapacitated they can be vulnerable to abuse and exploitation. Much of the potential for abuse and exploitation can be eliminated by being able to select who will make decisions on your behalf. The person named in the pre need guardianship document should be a person that you can trust to handle your medical and financial needs when you can no longer do so because of a medical condition. Our office can draft a legally binding designation of pre need guardianship directive that will be filed with the Clerk of the Circuit Court in the county where you live. This declaration is made while the you are competent. The document will state that the person who you would like named to be your guardian and this person will only serve when the you become mentally incapacitated (when the court determines you can no longer make decisions on their own). If a petition to determine incapacity is ever filed the court with the power to appoint the guardian will look to see if you have made your preference know through a designation of pre need guardianship. Who can Serve as a Pre Need Guardian? Florida Statutes also state who is prohibited from serving as a pre need guardian. Disqualified persons include anyone who have been convicted of a felony, and anyone that is incapable of serving as guardian due to an illness or incapacity. Florida courts also prevent anyone who has been judicially determined to commit any form of child abuse, abandonment or neglect toward a child. Other people who are prevented from serving as a guardian include someone that provides services in a professional or business capacity other than a professional trust company, non-profit organization, a bank, or other qualified person. Creditors of the ward are also not allowed to serve as the Florida Pre need guardian. TO SET UP A Free Consultation*, CONTACT A FLORIDA ESTATE PLANNING LAWYER ONLINE OR CALL US AT(904) 685-1200.